For many businesses, video surveillance is a critical part of their everyday operations. After all, employees can’t be everywhere at once, and video surveillance lets them monitor the entire premises to keep inventory and property secure—and staff and customers safe. In the past, surveillance systems have relied on analog cameras and infrastructure. Today, digital solutions using IP cameras and network video recorders (NVR) offer higher video quality and more capabilities. But they also create a massive amount of data. Handling this data requires a high amount of computing performance and storage capacity—so much that cloud-based services may prove too costly. Network-attached storage (NAS) devices designed to support video surveillance and transcoding give you this robust performance and connectivity. They also keep data on your premises, rather than sending it to the cloud. This can help you comply with industry regulations for data privacy, like the European Union’s General Data Protection Regulation (GDPR). Our partner, Synology, creates digital video surveillance solutions that use Intel-based NAS devices to consolidate camera and recording management, so that security personnel can work more efficiently. NAS solutions powered by Intel not only give you amazing support for video surveillance, but also help you protect data, maintain backups and save money in the long run. A major hotel chain located in Riyadh is working hard to make sure guests and staff are safe. Until recently, they were using a traditional digital video recorder (DVR) and analog cameras for surveillance. But this outdated setup produced low-quality video, and the extremely hot desert climate contributed to slow transmissions. Working with Synology, the chain decided to replace the old system with a digital surveillance solution. Synology’s Surveillance Station uses NAS servers powered by high performance Intel® Xeon® processors to monitor and manage 560 IP cameras around the clock. With a host server at each hotel, security personnel now have uninterrupted HD video surveillance that allows them to closely monitor each location. The hotels can easily add more storage capacity as their needs grow. And with support for computer vision technologies, the hotels can even add capabilities like facial and pattern recognition in the future. You can read more about the solution at Synology’s website. At any given time, a car dealership can have millions of dollars’ worth of vehicles and car parts on site. One dealership, the exclusive dealer of a premium auto brand in Singapore, is the go-to place for the latest luxury and performance vehicle models and quality preowned cars. The dealership also provides service and maintenance. The dealership’s analog video surveillance made it difficult for security personnel to monitor and retrieve footage when needed. It also relied on long, complicated camera-routing connections between buildings. The dealership wanted to go digital but discovered that the bandwidth costs for a cloud-based service would be too expensive, given the large amount of video data involved. Synology designed a cost-effective Surveillance Station solution that brought together an Intel Atom® processor-powered NAS device and 32 HD video cameras. This gives the dealership a complete, live view of the entire premises—showroom, lot and service buildings—and the ability to quickly and securely access camera views from any device, any time. It also seamlessly integrates into the dealership’s existing IT infrastructure. Now administrators can easily manage cameras, view live feeds, conduct analytics, retrieve footage and play back video in a browser or the management interface — all without impacting their overall network performance. For solution details, see Synology’s website. In addition to video surveillance, NAS devices with Intel processors give you an affordable way to manage files and media, perform backups, ensure data recovery and more. With secure, private storage right in your office, your data is always available when you need it. Intel technologies deliver fast file transfer speeds, exceptional performance, amazing graphics and robust encryption to help keep your data secure. And because these solutions are designed for easy setup, you can start using them right away. 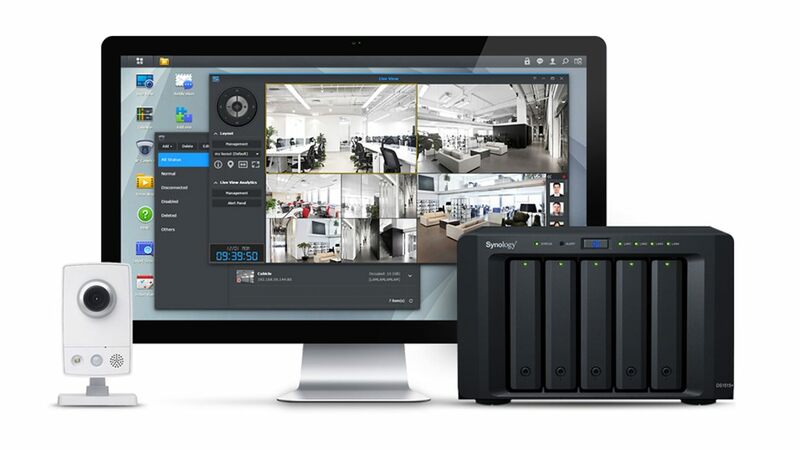 If you’re looking for video surveillance solutions that use NAS, we recommend starting with Synology. 1. “Top Video Surveillance Trends For 2018,” IHS Markit, 2017, ihs.com/www/pdf/Top-Video-Surveillance-Trends-2018.pdf. 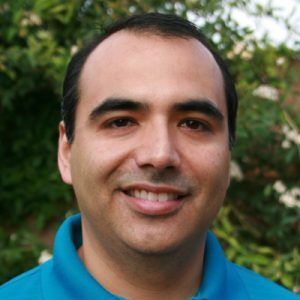 Sergio Quintanar joined Intel in 1999 as a software engineer and moved on to multiple technical roles in the following years. In 2004, Sergio earned an master's degree in business administration from the W.P. Carey School of Business at Arizona State University and transitioned into marketing, product, and business positions soon after. He currently is responsible for the Media and Small-to-Medium Business Storage segments in the Consumer Home Division at Intel.